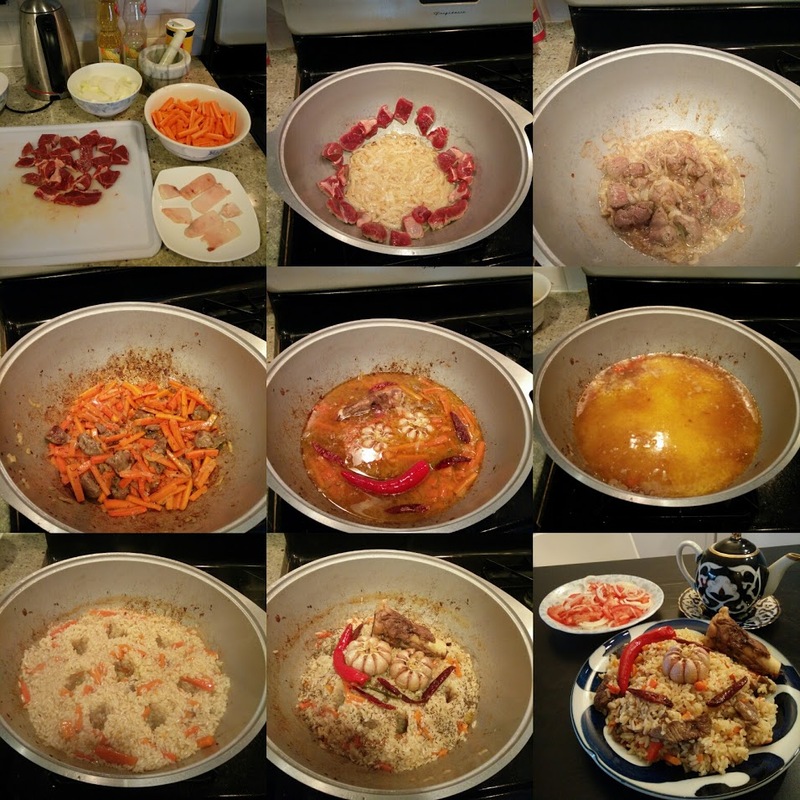 For the longest time, my plov would always turn out too sticky and mushy, and I didn’t know why. I assumed it was because I didn’t have the special rice used in Uzbekistan. 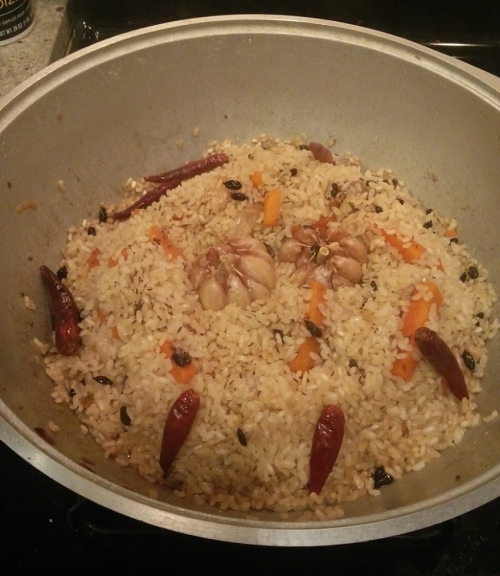 Occasionally, my plov would magically turn out perfect, but I wasn’t able to replicate it. 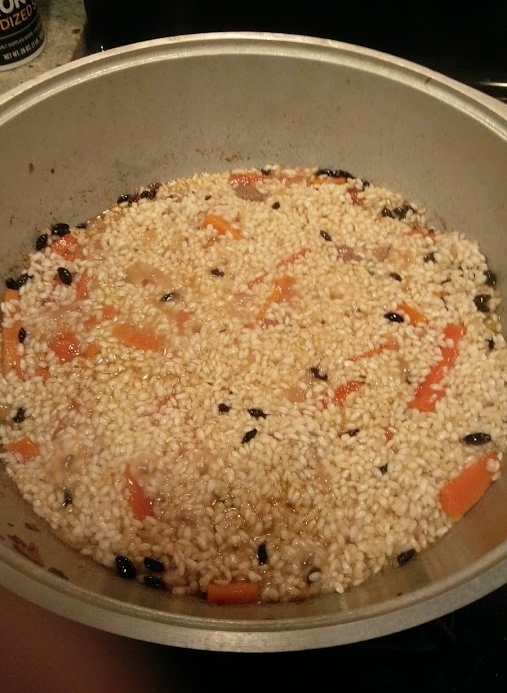 Recipes online had all sorts of conflicting information, from soaking the rice, to not soaking the rice, to adding 2cm of water on top of the rice, to adding no water at all. 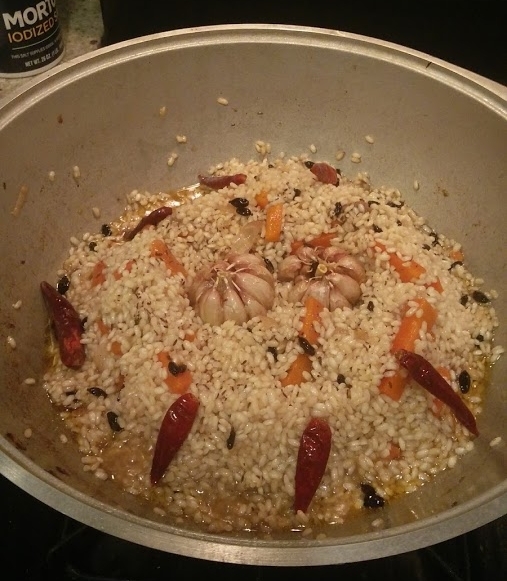 I experimented with all sorts of things and in the end usually just ended up with a pot of sticky rice. 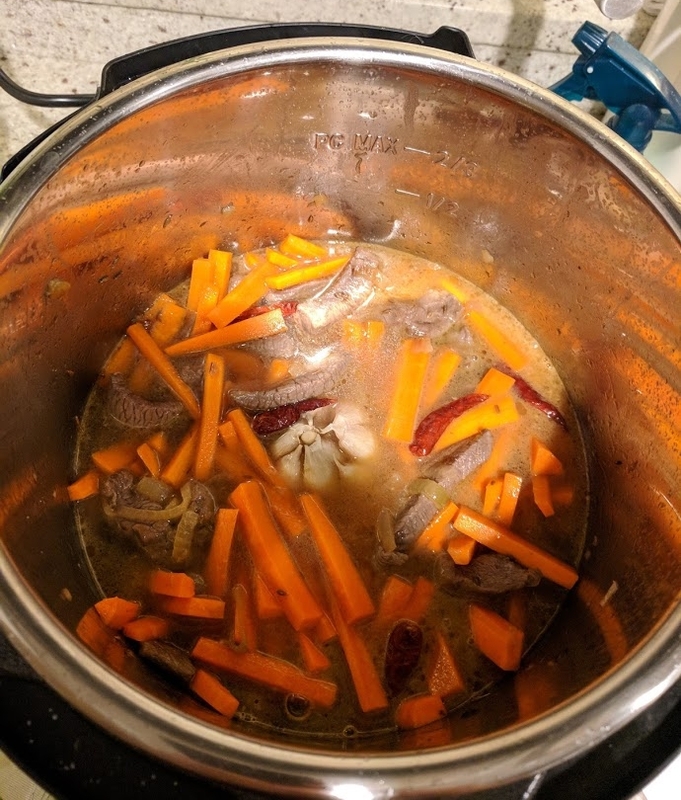 But now, after two years of making plov, I have finally figured out what causes it, and how to make perfect plov every time. 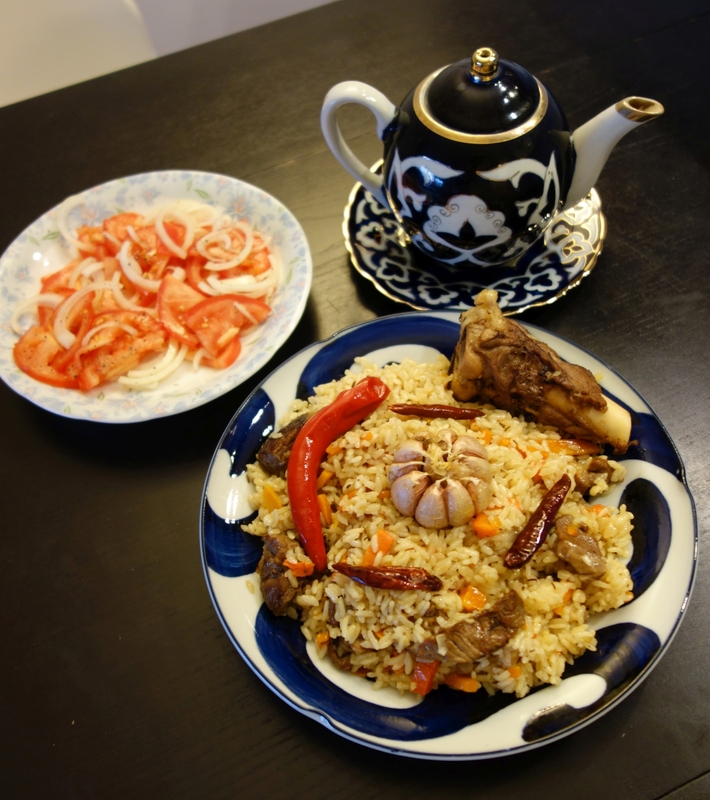 Overly sticky plov is caused by cooking the rice with too much water. The correct amount of water is 1:1 in volume to the rice, PLUS the amount lost to evaporation. You cannot scale this amount up! It’s as simple as that. All of that water you add to the pot needs to be absorbed by the rice or evaporated. Most of it will be absorbed. 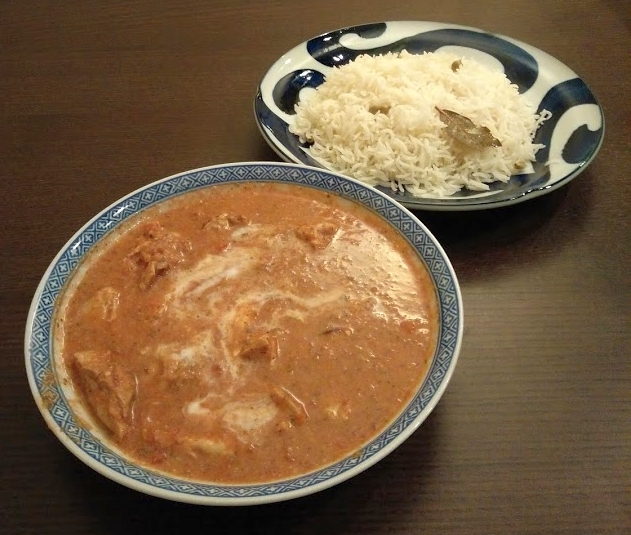 If you add too much water, the rice absorbs too much, and it becomes sticky and mushy. Critically, if you cook with the same cooking setup, about the same amount of water gets evaporated, regardless of how much rice you cook. That means you cannot scale the water amounts! 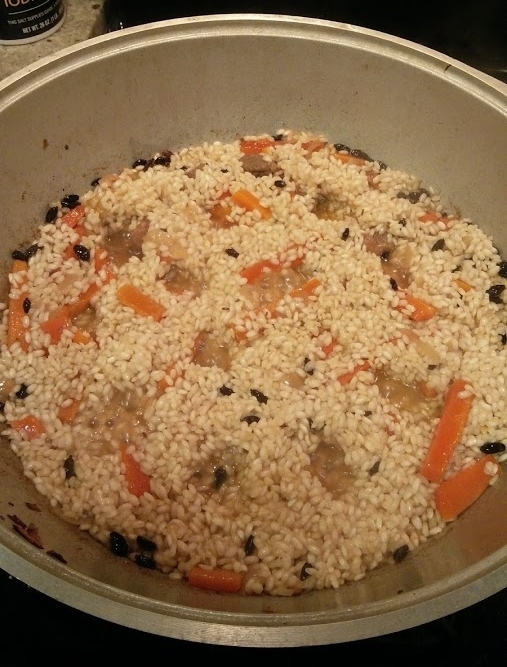 Ironically, most plov recipes seem to be rather vague about how much water is needed, usually suggesting you add 1-2cm of water (or “up to the first knuckle”) on top of the rice. 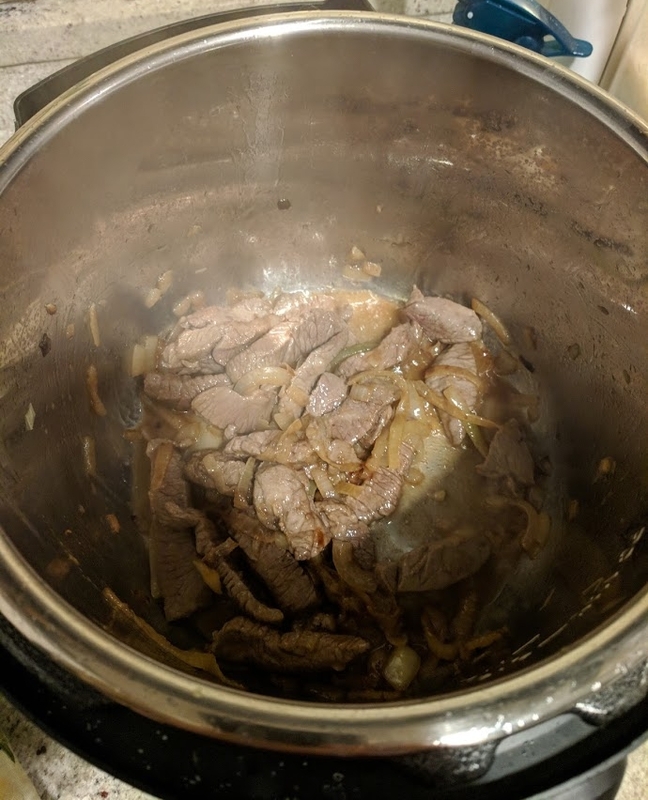 Adding that much water is most likely going to lead to mushy rice unless you are cooking with the exact same setup as the person recommending it (that method leads to mushy rice for me). 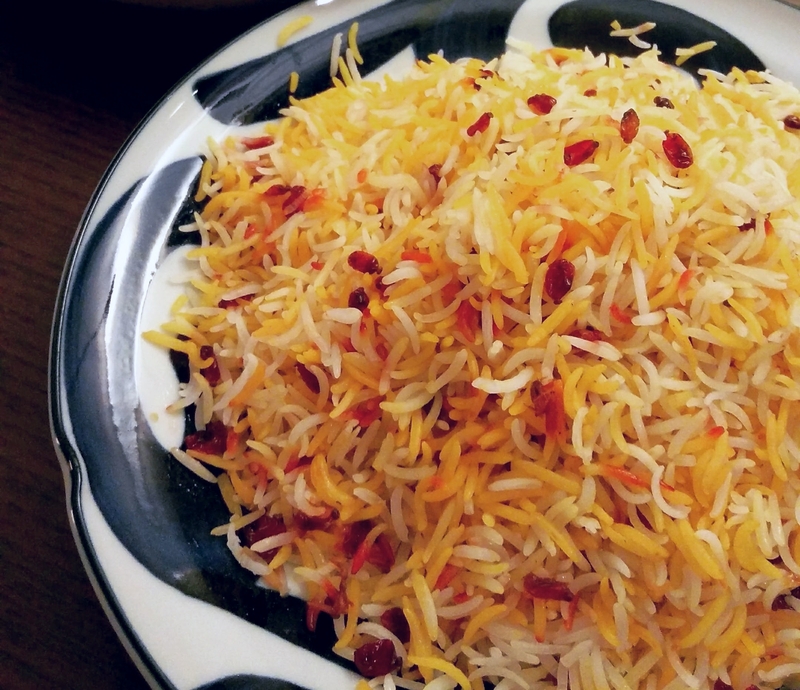 In fact, when you watch videos of professional plov makers, it usually looks like they are pushing around a big layer of dry rice on top (it isn’t dry, they are raking it back and forth so all the rice cooks evenly). If they put 2cm of water over their rice they would end up with a giant vat of mush! 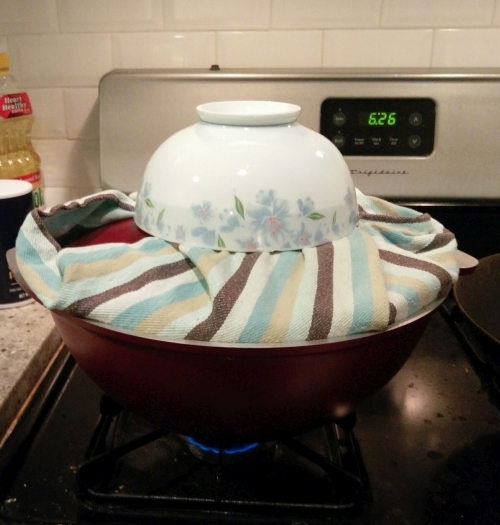 Personally, when I put the rice in, it looks like the water is just barely covering it – but again, this will vary depending on your setup. Further complicating things is the issue of whether the rice should be soaked or not. 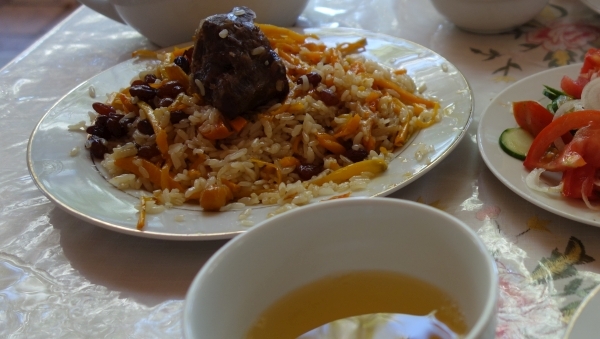 Some claim that this can remove more starch and make the rice less sticky. After going through a long period of soaking the rice, I have decided it is best not to soak the rice. Your rice is going to absorb some amount of water depending on how long it soaks, how absorbent the rice is, and ambient conditions. If it absorbs more, you need to add less water later, and vice versa. Since it’s difficult to know how much the rice absorbs, this adds a layer of uncertainty. 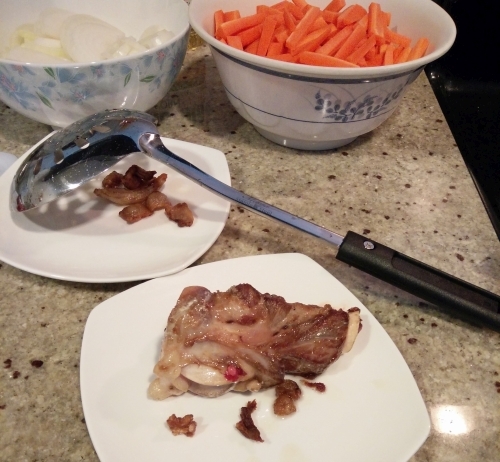 It is very easy to add too much water, ending up in a ruined, overly sticky plov. If you do not soak, you can control exactly how much water goes into your rice. 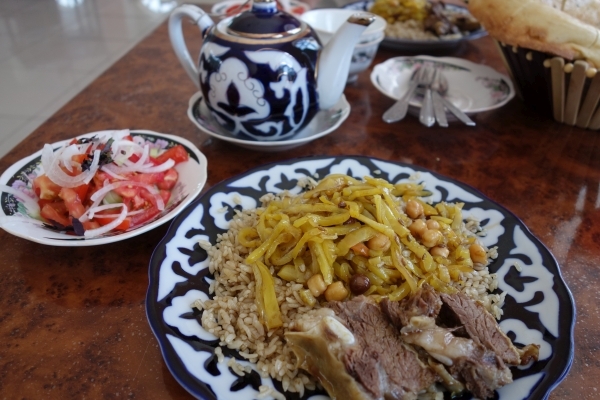 You can achieve a perfect plov texture without any soaking. 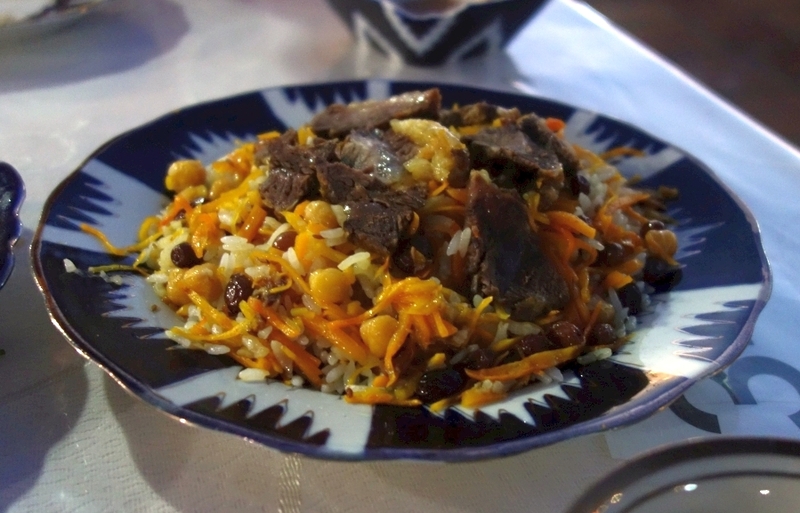 It’s best just to avoid this potentially plov-ruining step. Step by step, here is how to ensure the right water amount. 1. Determine the correct amount of water to use. You need to use 1:1 in volume of water to volume of rice, plus the amount lost to evaporation. 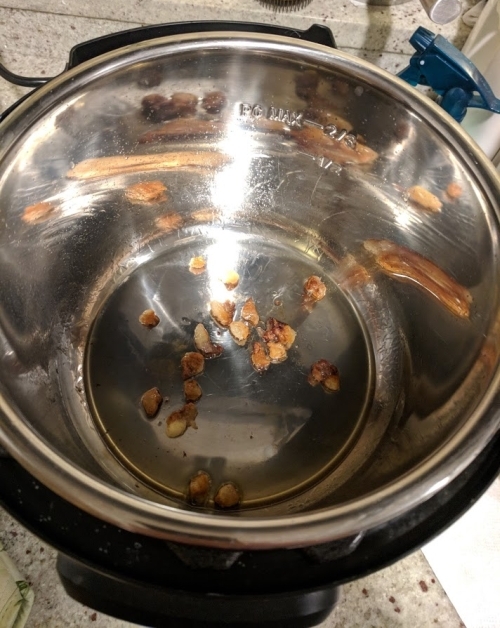 The amount lost to evaporation depends on the rice used and your cooking setup, and honestly, is determined by trial and error – but err on the side of too little water. 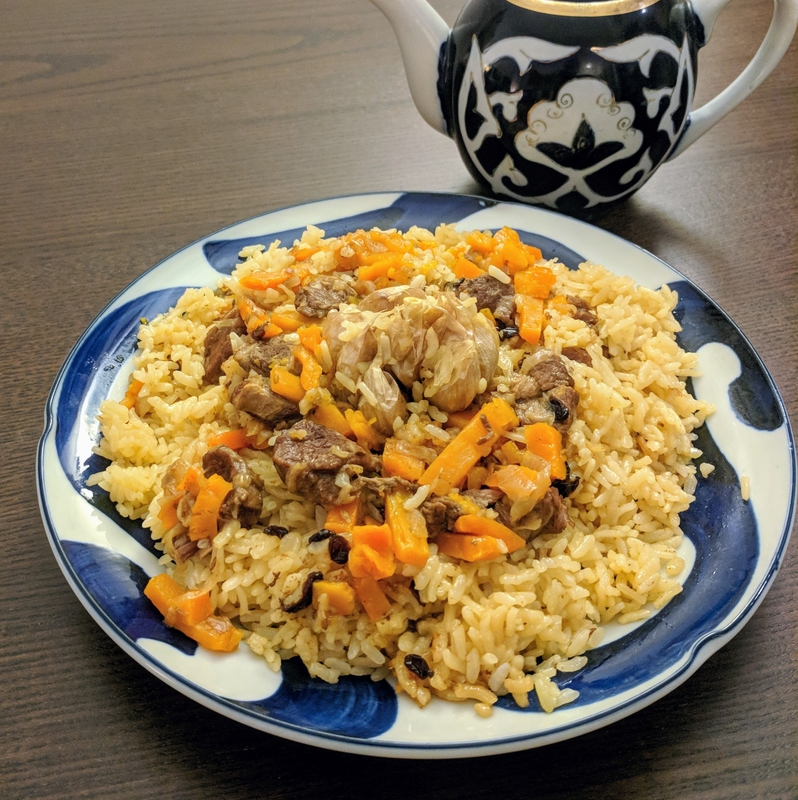 In making plov, the only times you really need to worry about water evaporating are 1) when you boil the water to make zirvak – which you then turn down to a simmer, so little water is lost and 2) when you boil the water to cook the rice. 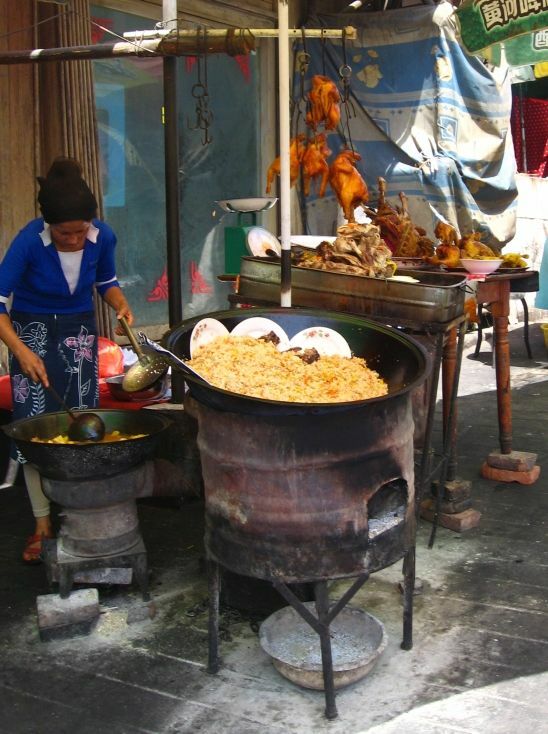 Some types of rice take longer to cook than others, meaning more water will be evaporated. 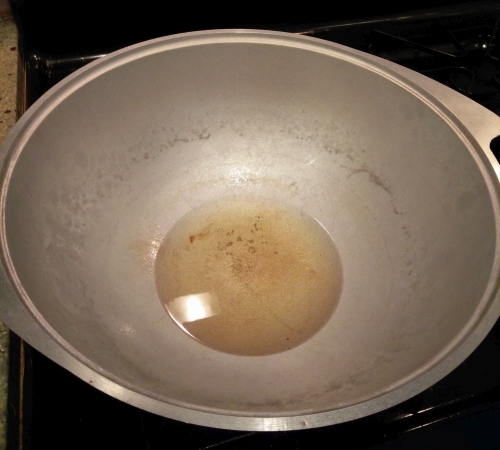 If you use a wide, flat pan, you will lose more to evaporation than if you use a deep, round pan. 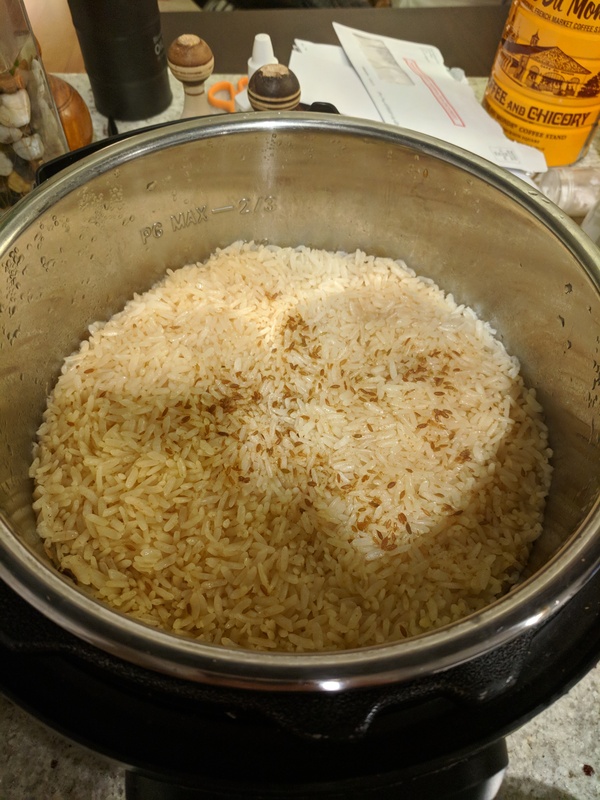 If you soak your rice (which I don’t recommend doing), it will cook and absorb so quickly that very little is lost to evaporation, so you need to add almost no water at all. 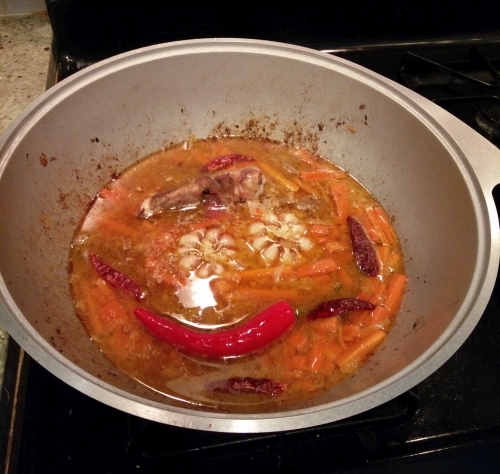 To complicate things, keep in mind the other ingredients in the pot (e.g. 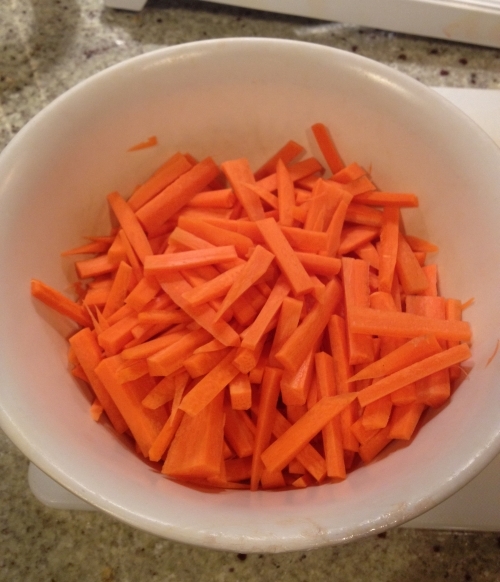 carrots, meat, onions) also give off water, so you might even need less than 1:1 in certain circumstances! 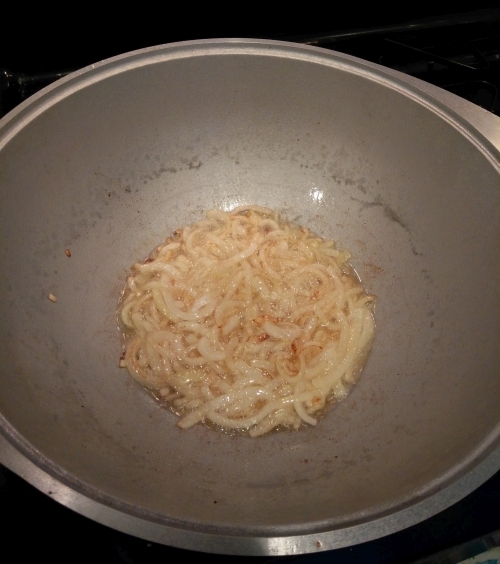 For me, using a flat-bottomed round kazan on a gas stove with calasparra rice, I lose very little to evaporation, so I add only 1/2 cup of water. In other words, if I am cooking enough rice to fill a 1L jar, I put 1 liter of water plus 1/2 cup of water (so ~1.1L). If I decided to cook 2 jars of rice, then I would use 2 liters of water…plus 1/2 cup of water (so ~2.1L). If I decided to cook 1/2 a jar of rice, I would use 1/2 liter of water…plus 1/2 cup of water (so 0.6L). 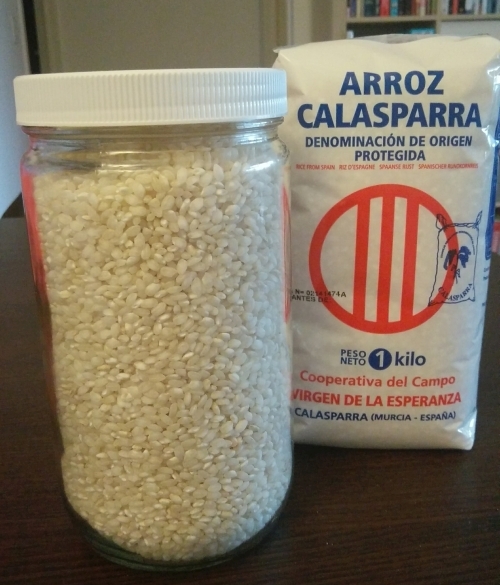 Calasparra rice I use for plov. 2. Do not soak your rice. As stated above, this introduces uncertainty because we don’t know how much gets soaked up. 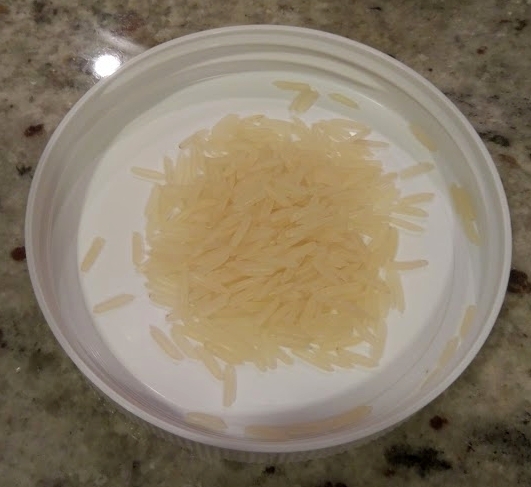 You could, in theory, weigh the unsoaked and soaked rice, figure out how much is soaked up, then soak your rice in the exact same way each time, but I just don’t see the point. 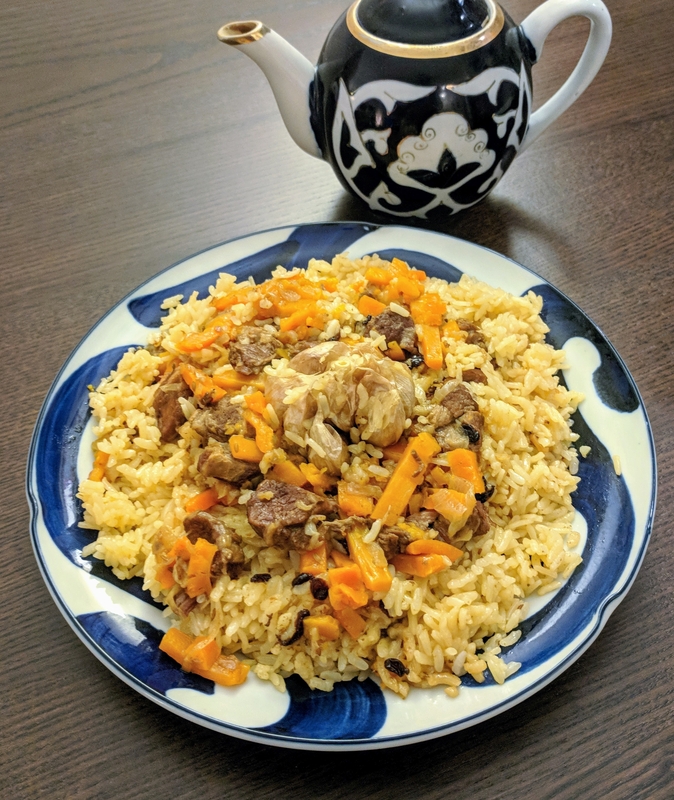 Plov tastes perfectly good without soaking. 3. 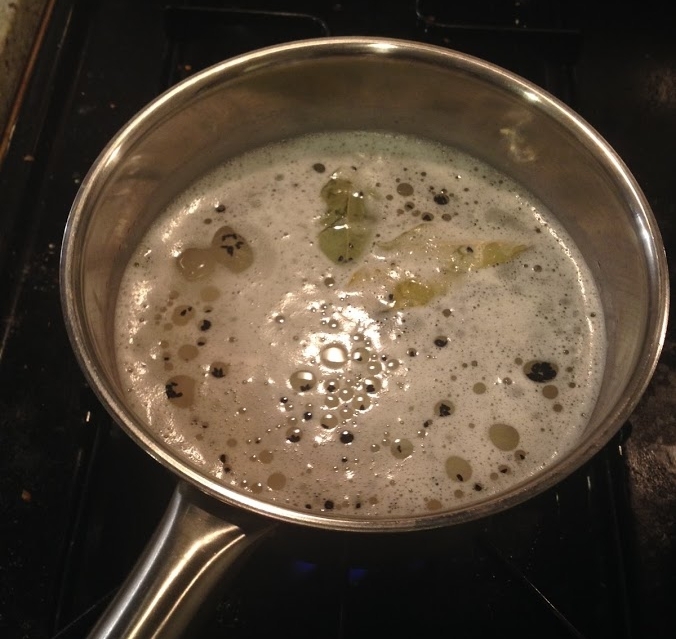 Measure exactly the right amount of water, and add all of the water in the broth stage. Eyeballing it is not going to work reliably, unless you always cook with the exact same amounts of ingredients every time. 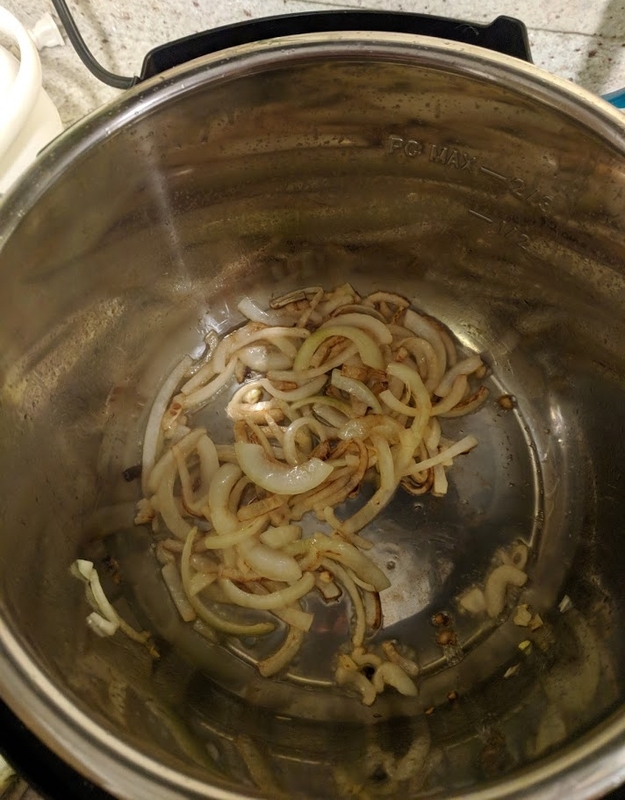 I eyeball basically everything in cooking, but this is the one thing I do not. 4. Do not add any extra water during the rice cooking stage. 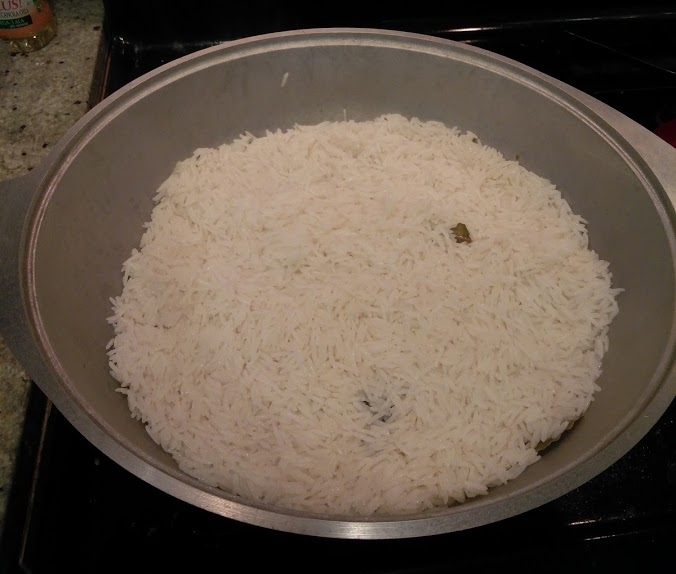 Only add water if your rice is too hard (literally can’t chew through it) and there is no water left in the pot. 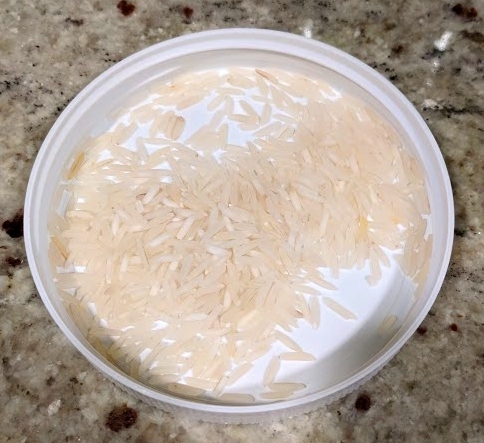 By not soaking and not adding any additional water later, we have controlled the maximum amount of water our rice can absorb. Oftentimes, when you taste the rice after the water is absorbed, it still tastes very crunchy and uncooked. 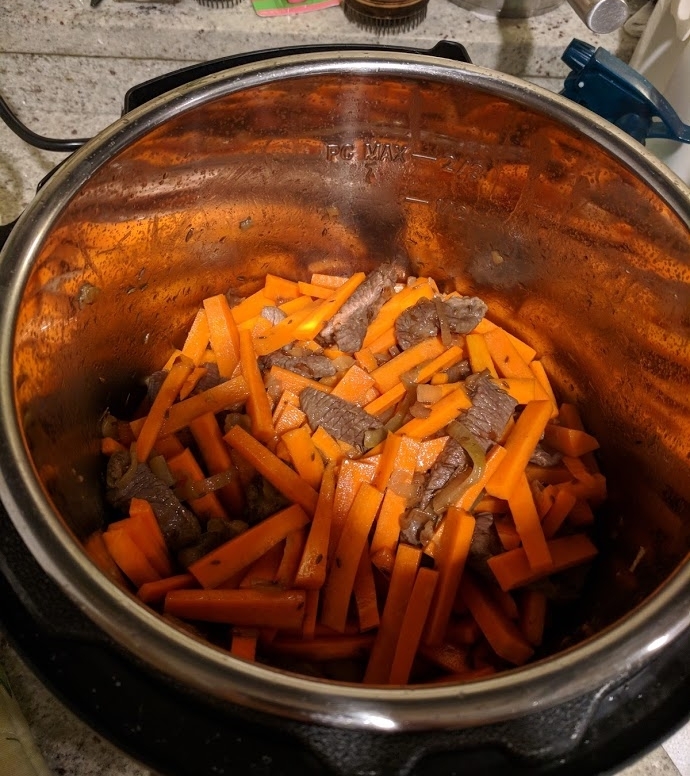 It is very tempting to add more water and cook it a bit longer but this is a no-no; I have ruined many perfectly good pots of plov this way. 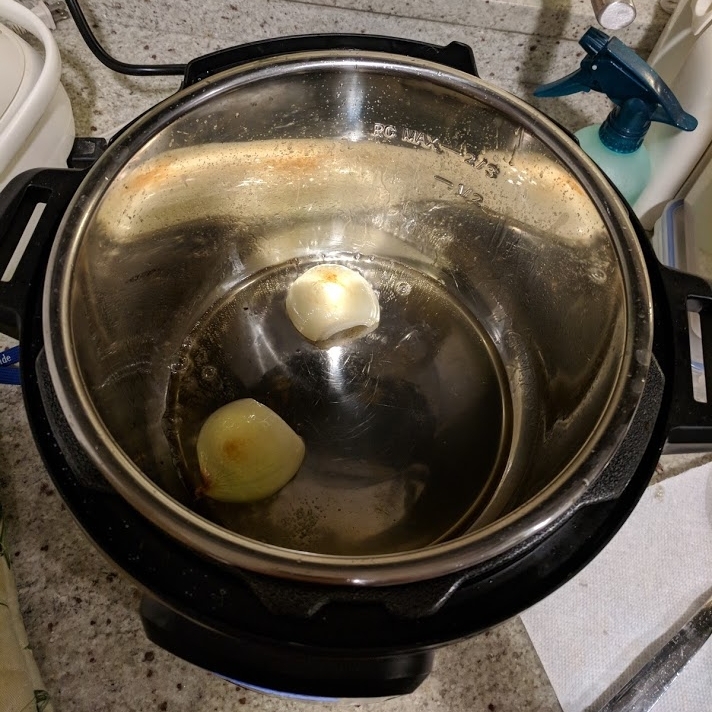 As long as the rice has swollen to its correct size and you can bite through it (however crunchy), then all you need to do is steam it and you will have perfectly cooked rice. 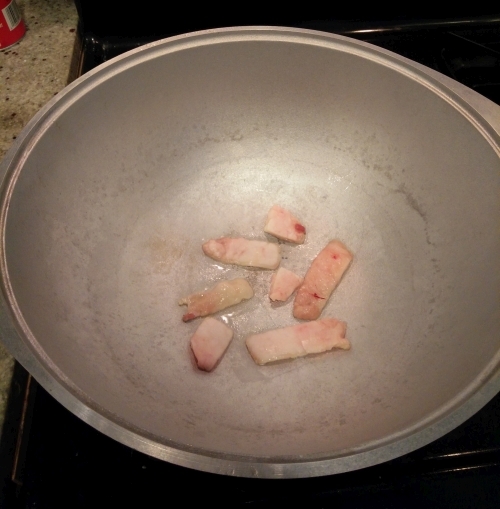 This is what it looks like when I put the rice in for cooking. No additional water is added. Pick a rice type and stick with it – Some variants of rice are more prone to stickiness than others. 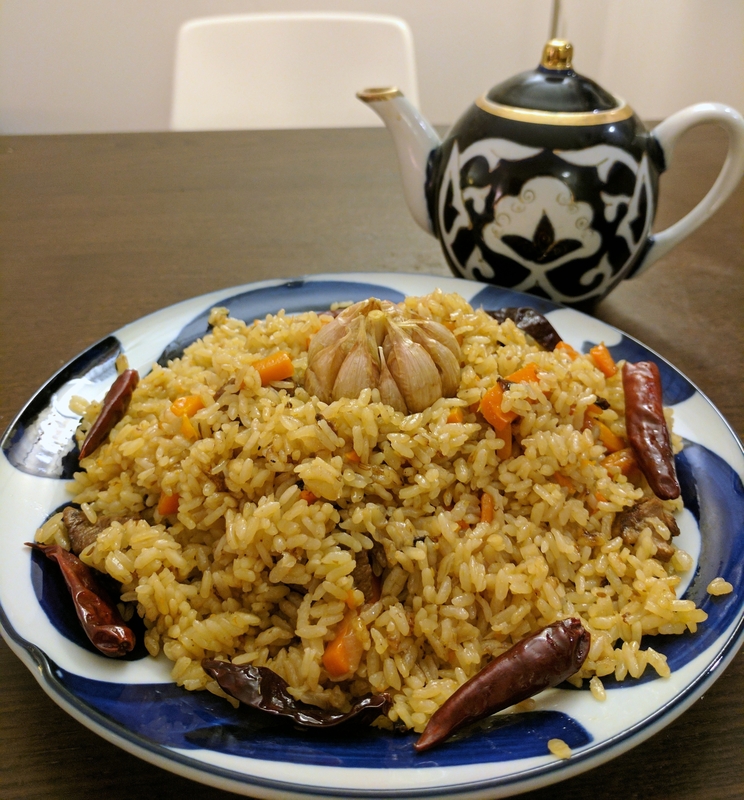 East Asian rice is simply unworkable no matter how careful you are with water ratios, as it is naturally sticky and starchy. Risotto rice tends to be sticky/creamy. 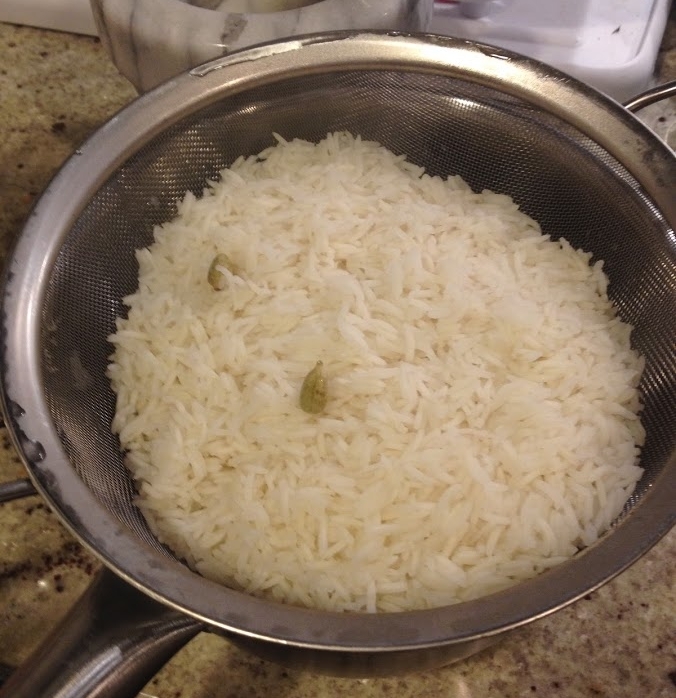 Basmati rice tends to be un-sticky, but isn’t really the correct shape or texture. I have been happiest with Turkish baldo rice. 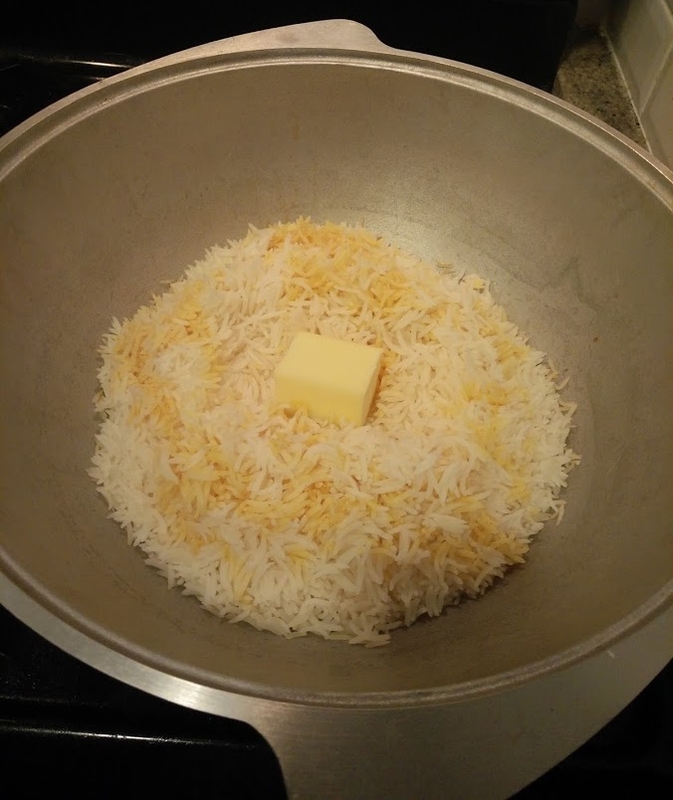 The important thing is to pick one type of rice, learn exactly how to cook it, and stick with it. 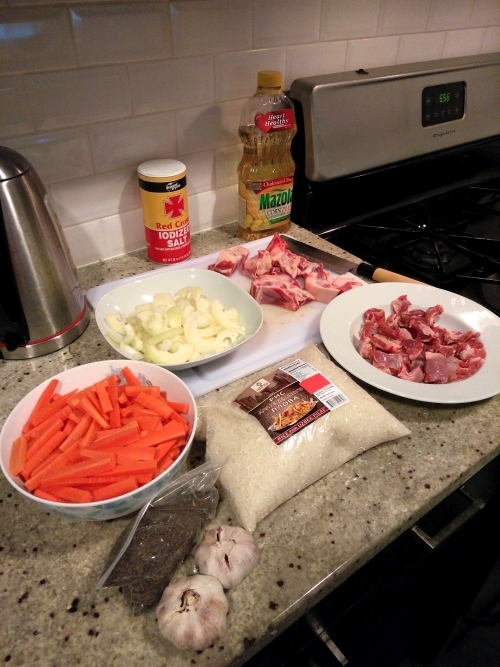 When you switch rice types, you are apt to screw up the plov. Wash the rice – Don’t soak the rice, but just before adding it in, you need to wash it – run the faucet over it, mix it around with your fingers, and pour out the cloudy water. Repeat until the water is nearly clear (you won’t get it perfectly clear). 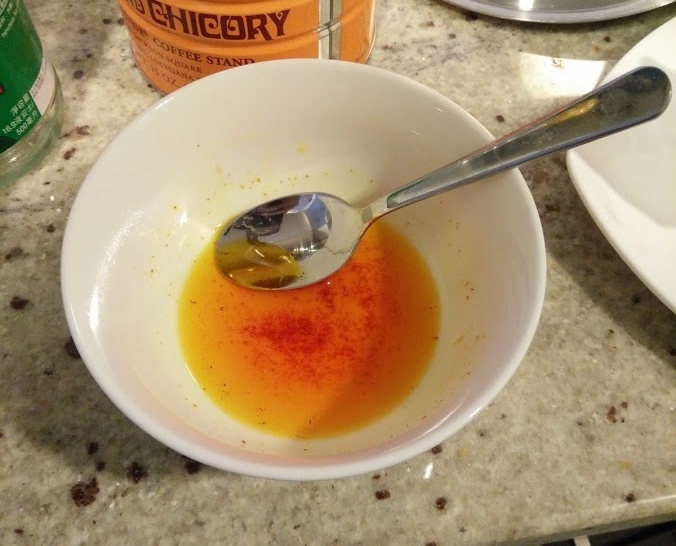 Then add directly into the broth. This gets the starch off the rice, helping it to be less sticky. Rice steaming time is important too – It is slightly less important than the critical water amount, but still important for perfection. 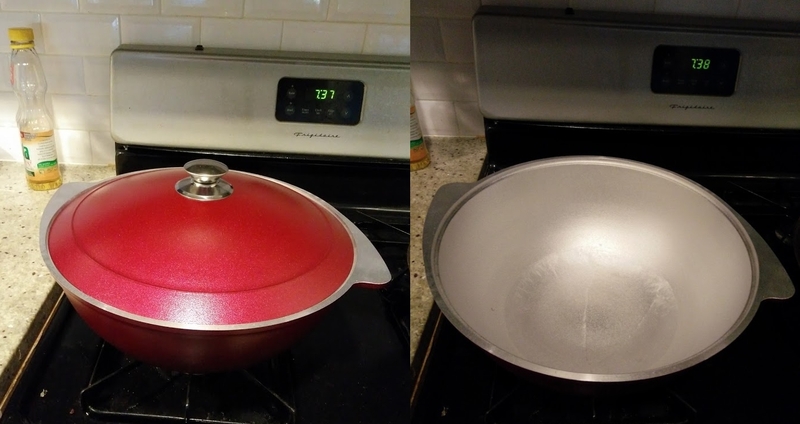 The amount of time you steam the rice is something of an art. Too little, and the rice is undercooked. 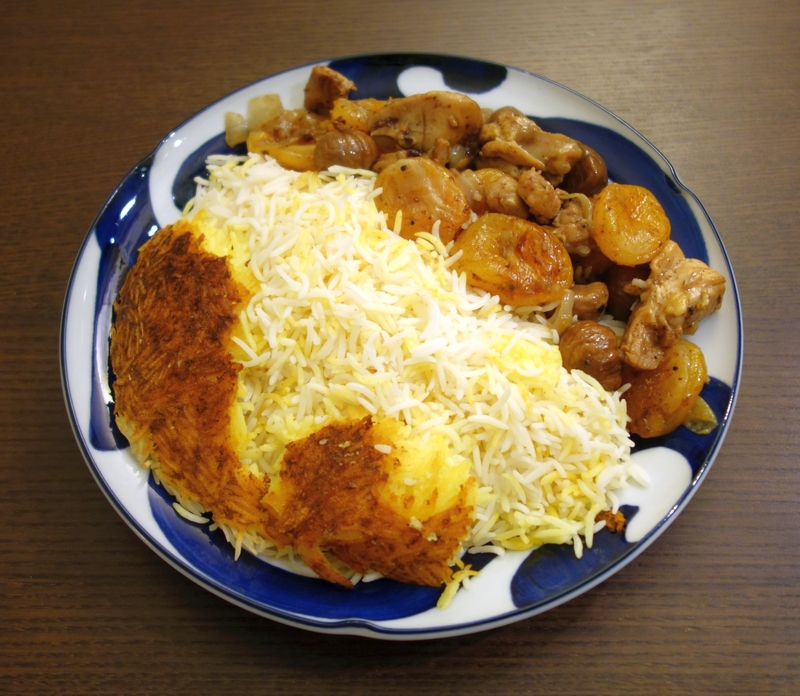 Too much, and even if you have the right amount of water, the rice can be overcooked and stick together. Guidelines: if your rice is nearly done before steaming, steam 20 minutes. 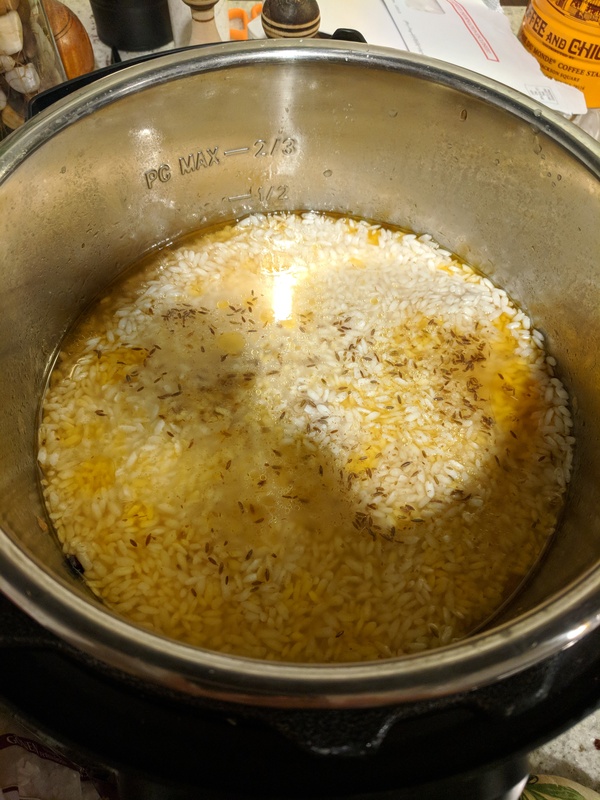 If your rice is still very crunchy, steam 30 minutes.